When I first started to write, there was no internet & it was far too difficult to keep sending hard copy manuscripts out to publishers (I never tried, it just seemed pointless & expensive as the info available seemed to state that so many publishers didn't accept unsolicited work & even if they did, rejections were far more commonplace than acceptances). When I recently discovered free self publishing through Amazon, I dug out my old musty smelling manuscripts from the garage & started to type them up. I've since found the writer in me again & have been adding to those previous works. Please enter your email address and click the Follow button to follow Ann Woodley! 20 fictional, murder, short stories. Life and more: A second random collection of 50 poems, covering various subjects and musings. 'Life and more' is a second random collection of 50 poems, covering various subjects and musings. 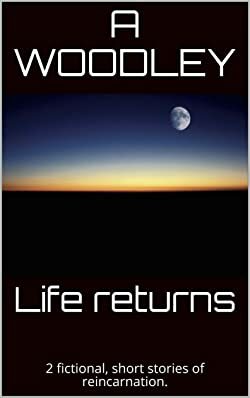 Life returns: 2 fictional, short stories of reincarnation. 2 fictional, short stories of reincarnation. Delving into the Tarot. Major Arcana: The 22 Major Arcana cards of the Tarot deck. Delving into the Tarot. Major Arcana. This book aims to be an easy guide for beginners to dip their toes into the Tarot. By becoming comfortable with just the 22 Major Arcana cards first, tackling the rest of the deck at a later time may seem far less daunting. Jasmine had a nasty case of writer’s block; this is a short story of how she overcame it, eventually. When sisters win £7 million, they have plans regarding how they want to spend a large amount of it. Gabe and Derry Thomson were twin brothers looking for a new life, in a new town, where they found themselves mixed up in the type of criminality that they’d only ever seen in films before. A lonely dragon finally finds a friend to play and soar with.